The Cloud Academy Certified Developer - Associate Learning Path has helped thousands of students master the AWS Developer - Associate certification. This iteration of our certification Learning Path is specifically designed to prepare you for the AWS certification exam released June 2018. "Hands on experience" is mentioned in the first pre-requisites of the AWS exam blueprint , so we have included more hands on labs in this latest release of our Learning Path to fast track your learning and help you succeed. This learning path is suitable for anyone wanting to pass the AWS Developer Associate Certification exam. Until November 2018 AWS will have two versions of the Developer Associate exam available. If you are new to the Developer Associate exam we suggest starting this new learning path which has been built around the latest certification exam guide. If you prefer to sit or renew the previous exam then you should choose our previous learning path. Ultimately the objective is to gain the knowledge required to successfully pass the AWS Certified Developer - Associate Certification. This Learning Path will help to develop students knowledge of DevOps with AWS. You will learn about key services, techniques and methodologies including CI/CD, Serverless and the decoupling of architecture to design, implement and support optimizes and resilient applications at scale. You will master your professional skills as a software developer who develop cloud applications on AWS. This training is an excellent way to learn more topics and best practices. A key to succeed is to cover each domain included in the exam and go deep, one by one. You will be more valuable on the job market. AWS certifications are high in demand in the cloud computing job market: companies are looking for these specific skills, all over the world. Being AWS certified will help your resume to stand out and maybe land into a better position. One last point: it’s also a great way to get a raise, as AWS certified employees are usually paid more than the non-certified. That’s definitely a good reason to study and pass this exam! A basic understanding of cloud computing will help. We provide an introduction to AWS services, however if you are new to cloud computing you might want to consider completing our What is Cloud Computing? Course first. What is AWS Certified Developer Associate? AWS Certified Developer Associate is an Exam, set by Amazon Web Services, to test an individual's ability to successfully demonstrate developing and maintaining within the AWS platform. Intended for individuals already in a development role, AWS recommends having at least one or more years of hands-on experiences in order to be able to pass this exam and become certified. The main requisite of this certification is to have a good understanding of core AWS services, uses and basic AWS architecture best practices. How do i prepare for AWS certification? 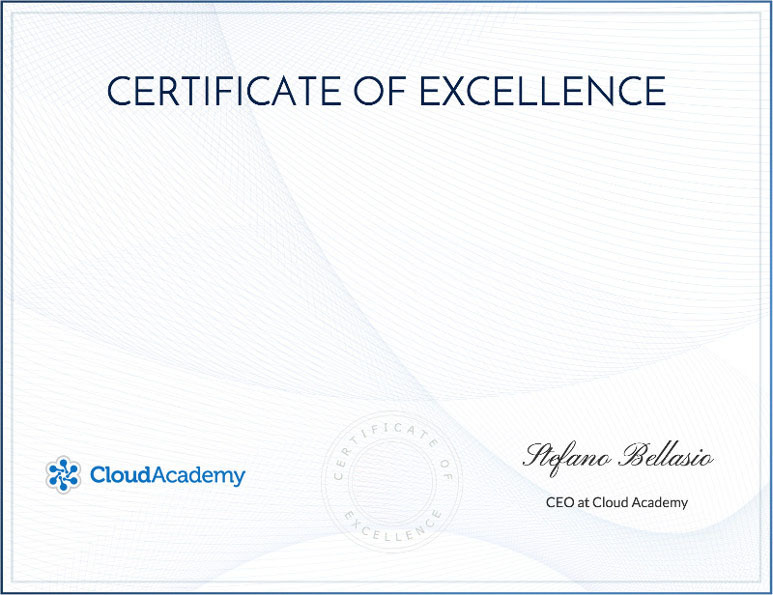 The best way you can prepare for any AWS certification exam is to engage with one of Cloud Academy’s dedicated Learning Paths. We have many Learning Paths covering all of the Exam Certification roles, at Associate, Professional and Specialty level) and provide extensive, efficient and expertly instructed training plans to help you pass the certification Exams with flying colors. From Big Data to Solutions Architect, Data Engineer to Security, Certified Developer and more; visit our Content Training Library to start your journey. What can i do with AWS certification? Getting an AWS certification can open many doors. There are a plethora of job roles in the Cloud Computing space that ask for candidates to be AWS certified in specific areas and as the market becomes more competitive, and AWS Certification is what will make you stand out from the crowd. Yes, AWS Certifications expire after 2 years. After your certification has expired, you will have to sit the examination again. How many AWS certifications are there? There are currently 9 AWS certifications on offer. These certifications cover the certified roles of Cloud Practitioner, Developer, SysOps Administrator, Solutions Architect, DevOps Engineer, Big Data, Advanced Networking, and Security. Some of these certifications, such as Solutions Architect, have both Associate and Professional level certifications and are treated as separate entities and certifications. How long does it take to prepare for an AWS certification? On an average, it takes around 80 hours to study for each certification. One must factor in how this will fit within a working life and other commitments. It is also dependent on your current knowledge level and skill and the type of certification you are studying for. If you are looking to study for a particular certification, visit our Content Training Library, where you will find our expert Learning Paths, tailored to your needs and ready to guide you from start to finish. On completion of this learning path you might want to take a look at our AWS Solutions Architect - Associate Certification Preparation for AWS - Feb 2018 Learning Path. Learn how to create and manage IAM users, groups and policies to securely control access to AWS services and resources. By completing this hands-on lab, you will be able to create your first Amazon EC2 instance using the AWS Management Console. You will learn the steps to launch and configure a Windows virtual machine using Amazon AWS. You will learn the steps to create and use the MySQL Relational Database using Amazon RDS. In this lab, you'll learn about Amazon Key Management Service to encrypt S3 and EBS Data at an intermediate level. Get started today! The first steps in creating a serverless function are generally creating a REST interface to allow clients to interact with your backend services. In this course, we step through creating an API using the AWS API Gateway service. Learn how to create and run your first AWS Lambda function. Learn how to implement a Custom Authorizer with AWS Lambda to define ad-hoc authorization logics for your API Gateway resources. Learn how to invoke a Lambda function and implement custom logics in response to S3 events (e.g. object creation, update or deletion). Learn how to listen to DynamoDB update streams and process batches of records with AWS Lambda to augment your database behavior. Learn how to invoke a Lambda function to process and manipulate notifications published on SNS topics. Learn how to deploy applications using Amazon Elastic Beanstalk with monitoring, autoscaling, and load balancing. This lab is an overview about the CodeCommit service, it covers how to create a repository, how to connect to a repository and how to manage a repository. Learn how to invoke a Lambda function in response to CodeCommit events on your repository. Follow the application lifecycle from dev to prod: continuous integration, rollbacks and blue/green deployments with AWS Code Services. Learn to use Amazon Cognito to manage User Pools, then authenticate against them with a basic web app that uses the AWS SDK. Get started today! Stuart has been working within the IT industry for two decades covering a huge range of topic areas and technologies, from data centre and network infrastructure design, to cloud architecture and implementation. He is AWS certified and accredited in addition to being a published author covering topics across the AWS landscape. In January 2016 Stuart was awarded ‘Expert of the Year Award 2015’ from Experts Exchange for his knowledge share within cloud services to the community. 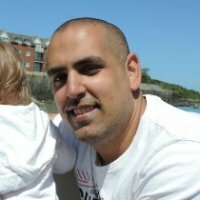 Stuart enjoys writing about cloud technologies and you will find many of his articles within our blog pages.